Axel Eggert joined EUROFER in November 2007. 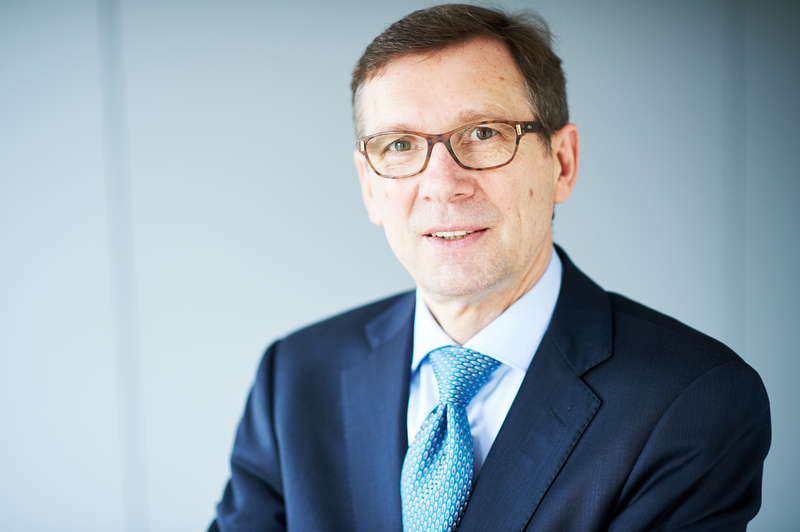 He has served as the director general since November 2014. Eggert was interviewed by EURACTIV.sk’s Pavol Szalai. 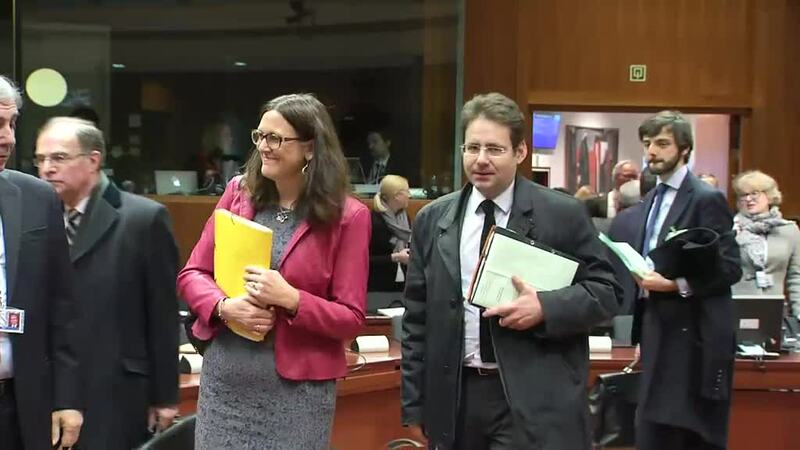 Last December, the Slovak EU Council Presidency reached an agreement on trade defence instruments. EUROFER said the agreement “does not live up to its objective”. Why do you think so? We have to thank the Slovak Presidency for their commitment to finding a solution, which was certainly very difficult. It had a very good starting point, but the outcome is extremely complex. There are too many hurdles, too high thresholds to be able to qualify. Even the European steel industry, which today accounts for half of trade defense measures in place, would have problems to qualify. What do you mean by “qualifying”? There are several thresholds. The Council’s proposal for the deviation from the lesser duty rule (LDR) focuses on raw materials and energy distortions. The ‘distortions’ have to make up at least 27% of the total product cost. Each distortion, on its own, must make up at least 7% of total production costs of one specific product. In the case of steel production, it is hot rolled coil, which is our main steel product. As a matter of fact, there are a relatively high number of distortions by China. Many are below 7% of the total production cost. If there were to be 10 distortions, each worth 5% for example, we are already at 50 percent of the production cost. But this would still not count. The legislation did not take into account a situation, which must be very common? No. This is, indeed, very common. Some of our products may still qualify for the deviation from the Lesser Duty Rule (LDR). But for a country like China, the LDR could be lifted just for one out of their 20 or 30 distortions. And then it gets a free ride. Our main raw materials are iron ore, coking coal and steel scrap, for which the LDR can be lifted. But for energy, China would not even reach the 27 percent. So, China can continue to dump energy prices? Yes. The incentive should be: China, for you, we lift the LDR, so that you lift your energy and raw material distortions. If the agreement in the Council leads to a situation, when countries like China have to lift one or two of the many distortions in order to get a free ride, then the EU misses objective to end as many distortions as possible. 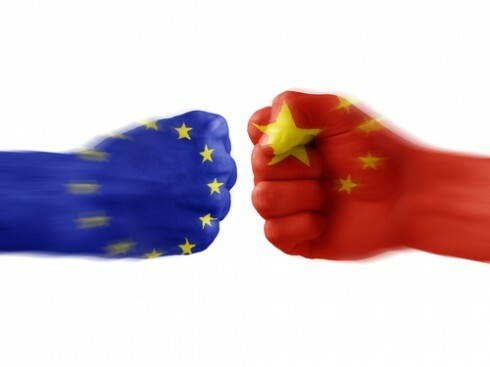 European Union trade ministers said Friday (11 November) they must not be “naive” in the face of alleged China price dumping, as they tried to agree tougher measures to fight unfairly low prices. 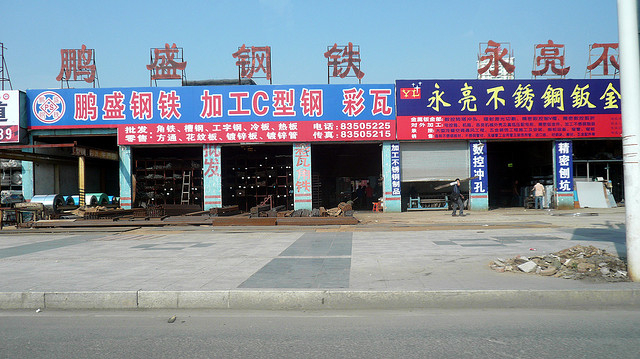 Last year, the Commission proposed a new anti-dumping methodology. China has already criticised it. What do you think of the legislation and when can it take effect? We welcome the Commission’s effort to solve this issue. However, the proposal raises a number of questions. What is the burden on the Commission’s services and the industry to deliver data? The new methodology is partly based on the one applied by the US, but it goes beyond. More specific data will have to be provided for each factor of production. That could be a major hurdle to come to dumping margins. The European Commission and industry would have to provide data on dumping in China? Yes, and per factor of production: labour, electricity, raw materials etc. That is very difficult. For example, how do you quantify government control for each factor of production? The Americans work in broader lines. If the European Commission grants China Market Economy Status (MES) the consequences for the EU aluminium sector will be enormous, an industry group has said. We can prove there is a significant distortion in China. This would be sufficient in the US, but maybe not for the Commission. We still need to make sure the new methodology is as effective as the current one. The new American trade representative worked as a lawyer advocating anti-dumping measures against China in the steel sector. Is the US election good news for European steel? The US has already adopted as many anti-dumping measures against China as the EU. You should first investigate whether there is dumping or not and if yes, implement measures. There, the US is more successful than the EU. Whether the US needs more anti-dumping measures against China? It depends on the data. 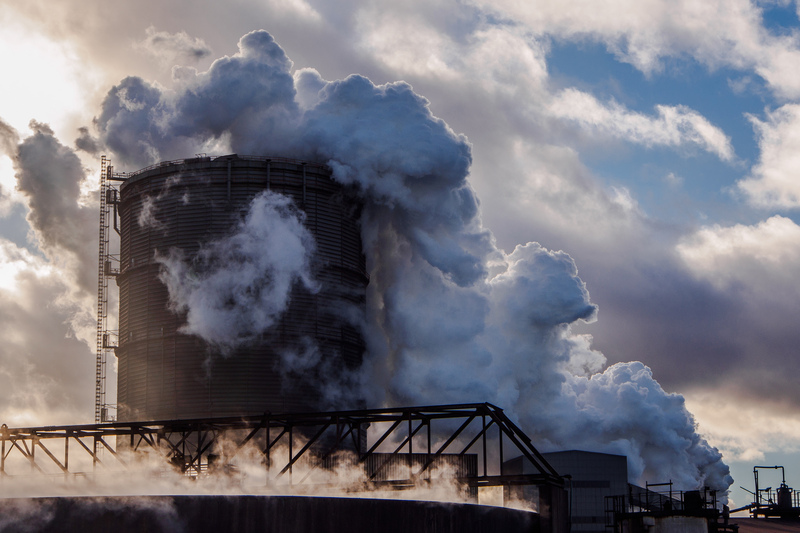 Is the new political climate beneficial for Europe’s steel industry? Is the confrontation between the US and China beneficial for Europe? It could end up being at the expense of Europe. Where will the trade flows go when the US closes its borders? It will end up in the EU and worsen our situation. The EU launched new probes today (12 February) into imports of Chinese steel, warning it would not allow “unfair competition” to threaten Europe’s industry already crumbling under a flood of cheap imports. Brexit is another political event that will shake trade relations. The UK has been against tough measures on China. What impact will Brexit have on the Europe’s position? The UK has been a brake on more effective trade defence instruments. Brexit will make the legislative reform easier in the future. But we are talking two years from now. It may never take place. Brexit will probably facilitate modernisation of trade defence instruments in the EU. Brexit is definitely not in our interest. We are against it. Having a smaller single market is not helpful. But the impact is likely to be greater for the UK’s steel industry. More than 60% of the UK’s exports head to the EU. They will also have more difficulties in importing steel from the continent. How do you see the EU’s efforts aimed at decreasing China’s overcapacity via the bilateral committee and G20? We welcome the Commission’s effort. The engagement of President Jean-Claude Juncker has helped certainly to raise awareness on the issue, not only within China, but also on the global base. A global forum was created. 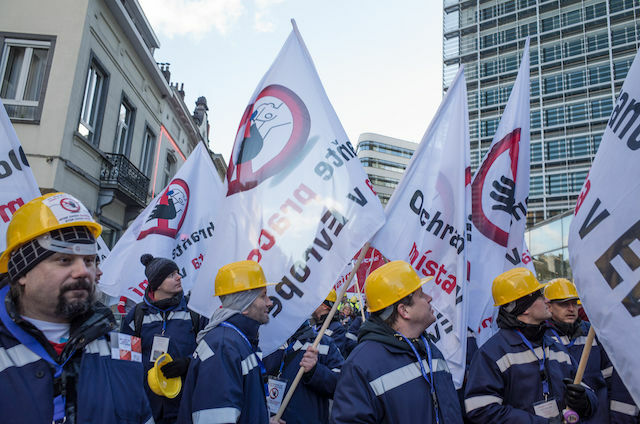 Unfair Chinese aluminium trading is killing the European industry and, if the country is given market economy status by the European Union, it could have a catastrophic impact on EU jobs and production, warns Gerd Götz. China has understood the problem. The overcapacity problem does not only affect the global steel market, but also the Chinese market and environment due to the enormous emissions. They have plans to reduce capacities. But we are talking about 400 million tonnes of overcapacity in China at the beginning of last year. If you compare that to the EU steel market, which is 150 million tonnes, you can imagine the size of the problem – in China and for the world. China exports 100 million tonnes per year and imports virtually nothing. Most of their exports are actually over-capacities. It will take a long time until China has achieved the necessary reductions. But it would be unfair to talk only about China. Europe is decreasing capacities. We have net reduction of 15 million tonnes per year. But for every tonne we reduce, we find five imported tonnes at our border. 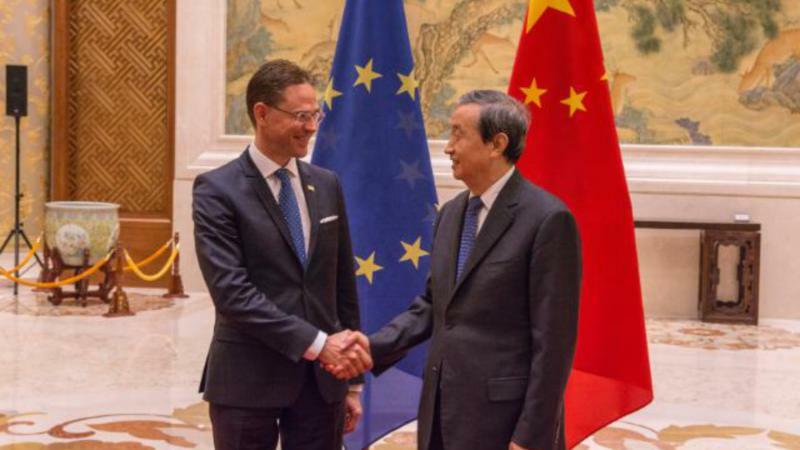 The EU announced that it will impose anti-dumping duties for six months on some steel imports from China and Taiwan on Wednesday (25 March), as a new trade row erupted between Brussels and Beijing.